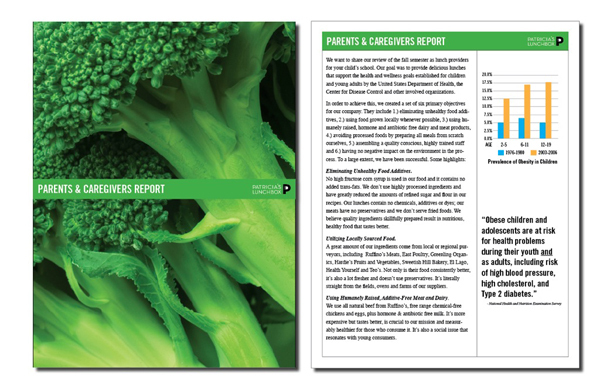 Cover and page from the annual Caregiver’s Report, created for parents and responsible adults, school administrators. 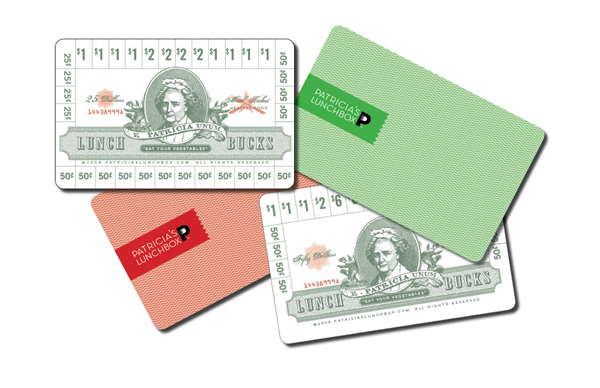 Lunch cards, in different amounts, eliminated the hassle and uncertainty of handing cash to kids and streamlined the serving process. 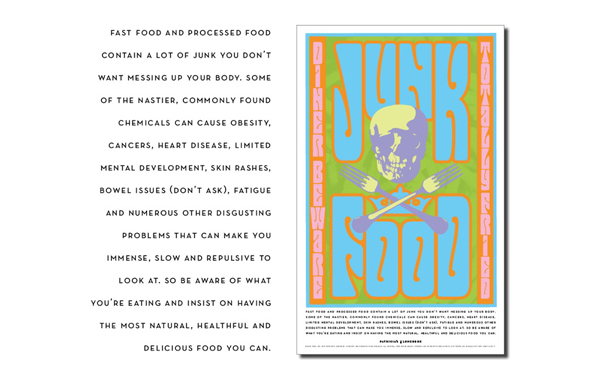 Psychedelic poster created for high schools cautioning against junk food.